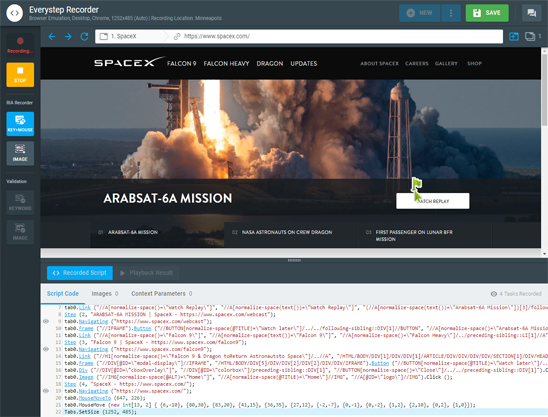 LoadView empowers DevOps teams to stress test their websites, web-apps, and APIs with thousands of concurrent connections in real browsers from a fully managed cloud. We manage the cloud infrastructure for you, so you can focus on designing and executing your load test scenarios, not tinkering with cloud accounts and system integrations. LoadView has 13+ data centers around the globe – learn more. LoadView utilizes Google Cloud Platform (GCP) and Amazon Web Services (AWS). 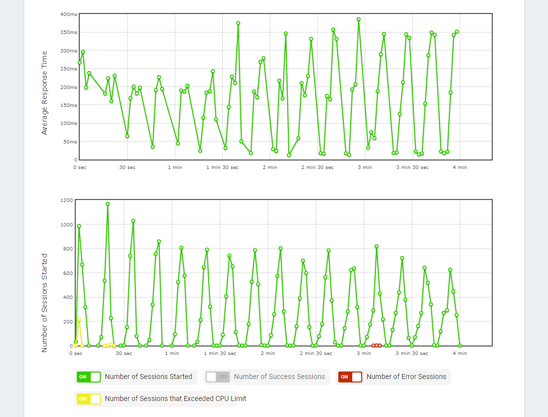 We manage the cloud network, so you can focus exclusively on designing and executing your load tests. 100% Managed Cloud. No hardware to provision. No network to maintain. 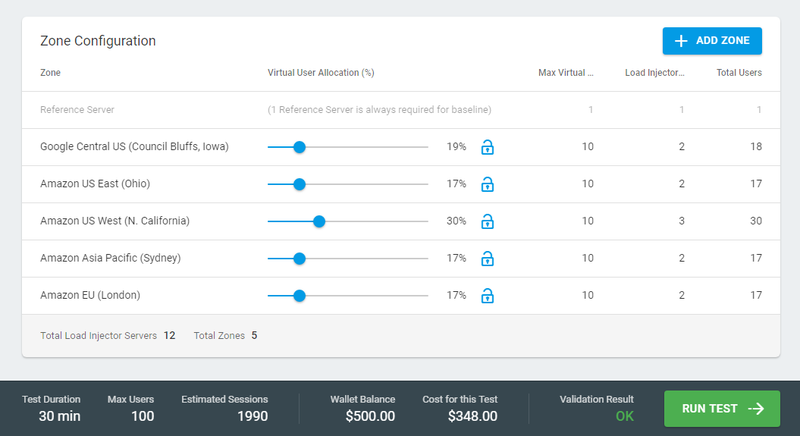 LoadView empowers Agile teams with the flexibility to design multiple test scenarios for today’s most complex applications. Determine if your website can handle spikes in traffic by generating load with a set number of concurrent users over a specified time period. Ensure your website can handle expected increases in user traffic. Validate capacity plans and SLAs in production environments. Test the limits of your infrastructure by adjusting load in real-time. Gain insight into how websites or applications change as load levels fluctuate. Our award winning technical support staff is available around-the-clock for all customers. Our team has your back! Our comprehensive hub of setup guides and tutorials makes your load testing experience as seamless as possible. From test design and execution, to optimizing code and infrastructure, let our engineers do the heavy lifting. The look and feel of today’s websites are packed with dynamic web content, which are appreciated by users, but can make it difficult for engineers to performance test. 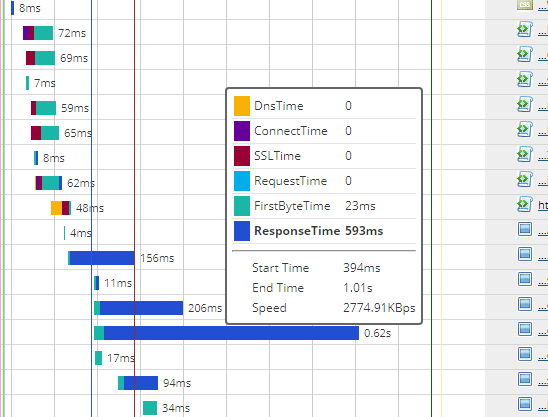 LoadView utilizes real browsers to show the actual performance of your website under load — just as your users experience it. By leveraging Android, Chrome, Internet Explorer, and iOS, LoadView is more precise than open-source headless browsers, like PhantomJS or Selenium IDE. Ensure the customer experience is consistent and dependable from wherever they access your website. LoadView supports a wide range of desktop/mobile browsers and devices, including iPhones, iPads, BlackBerry phones, Android smartphones and tablets, Google devices, Nokia phones, Amazon Kindles, and many others. 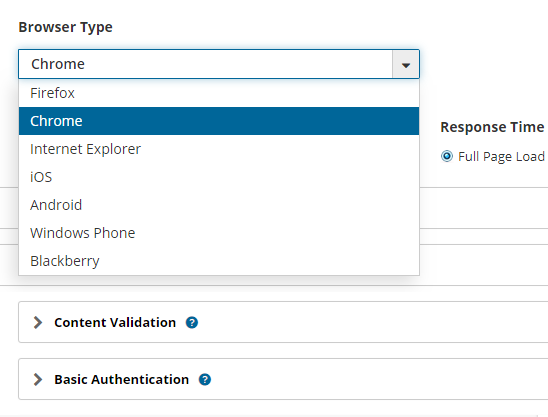 LoadView offers both mobile scripting support and various resolution-dependent testing options to ensure that you’re able to load test any page on virtually any device. 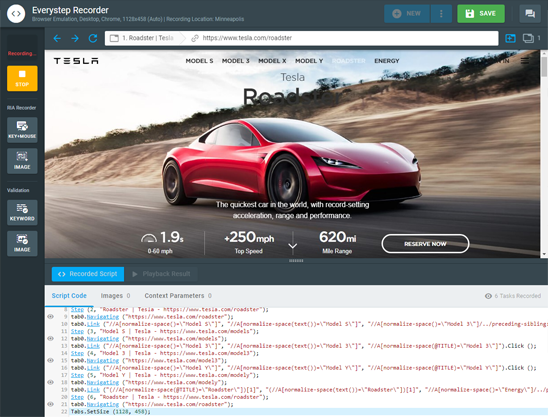 Easily create scripts that simulate users interacting with your website or application using the EveryStep Web Recorder. For more complex interactions, you can fill out forms, perform searches, take action based upon the location of an icon, button or image, or even manually edit the script using your own C# code. Reuse scripts to automate execution of other repetitive tasks in your environment. Gain insight into performance metrics that are essential to your organization’s capacity planning. Drill-down into specific session data and performance counters to uncover critical errors that are affecting your websites and applications for a complete view of how your website performs under all load scenarios. LoadView also lets you share your reports so you can easily communicate the results with various internal stakeholders. 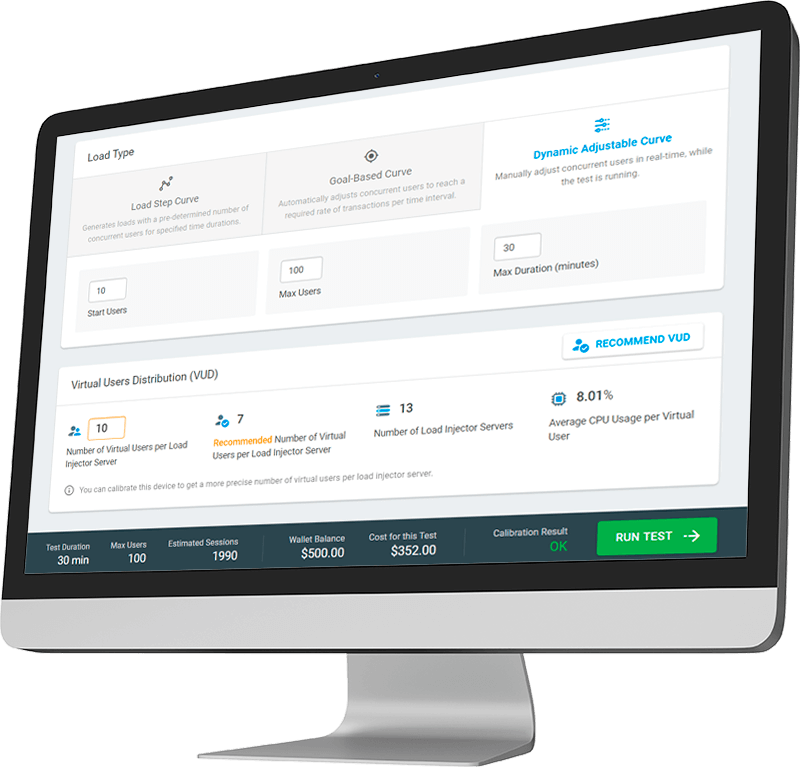 LoadView is one of the only browser-based performance testing tools that is able to truly automate website load testing. 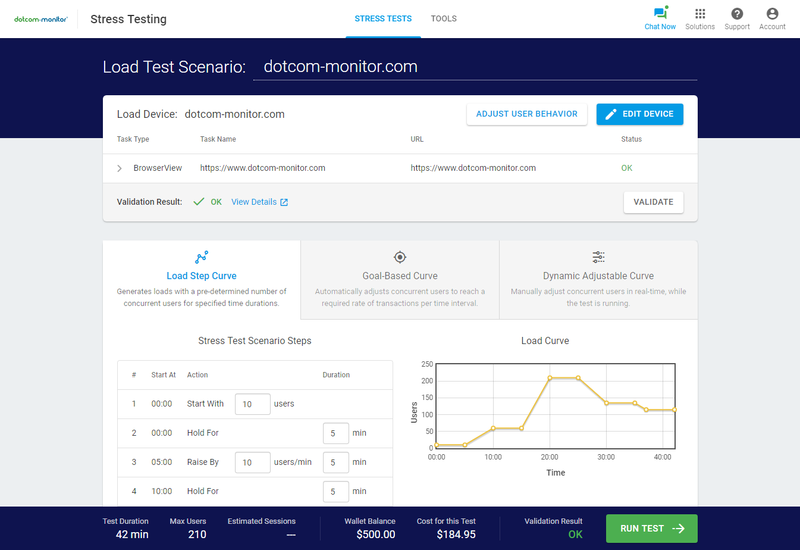 Build a custom load test script for your website in minutes. Test everything from browsing and login forms to shopping carts, portals, and more. LoadView uses a global network of load injectors, allowing you to quickly and easily determine performance of your websites from around the world. On-demand. No credit card. No contract.